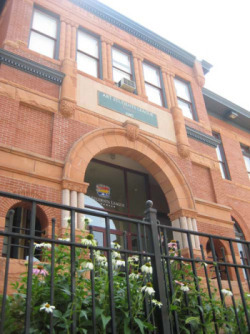 The Gathering Place is Denver’s only daytime, drop-in center for women, their children, and transgender individuals experiencing homelessness and poverty. Founded in 1986, this nonprofit organization serves an average of 270 individual each day, providing resources and programs that both meet basic needs and offer opportunities to increase self-sufficiency. Sopra Communities serves as the property manager for The Gathering Place, performing maintenance tasks, interfacing with vendors, and responding to emergency requests. They discount 40% of their contract fee each month, as a donation to the nonprofit. SOPRA Communities is proud to support the Art Students League of Denver. The Art Students League of Denver provides an inclusive art community where professional artists guide individuals of all abilities to reach their highest potential. We are proud to support our community at large, specifically Friends of Levitt Pavilion Denver, City Park Jazz, the children’s playground in LoDo, Lower Downtown Neighborhood Association, LoDo District, Inc., Opera Colorado, Denver Public Library, Concerts for Kids, St. Jude’s Children’s Hospital, Denver Art Museum, Colorado Public Radio,Dumb Friends League, and the Downtown Denver Expeditionary School. 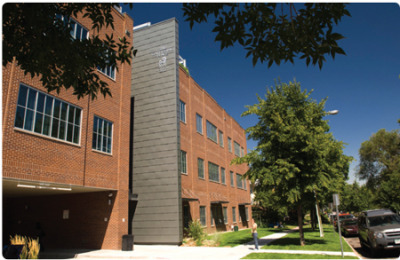 Sopra Communities, Inc. is a member of the Downtown Denver Partnership, the Urban Land Institute, Historic Denver, Lower Downtown Neighborhood Association, LoDo District, Inc., National Historic Trust, and Community Associations Institute. We also represent the Equitable Building at the Building Owners and Managers Association.